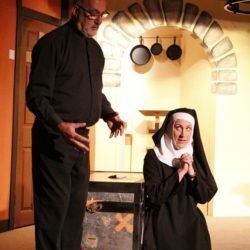 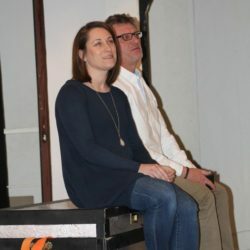 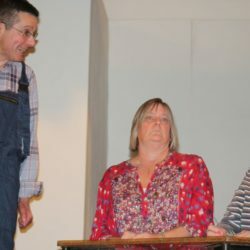 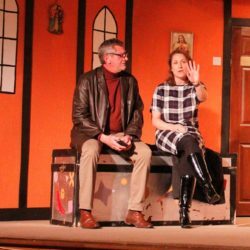 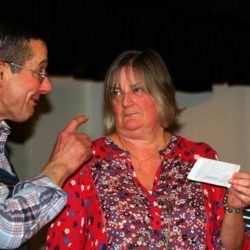 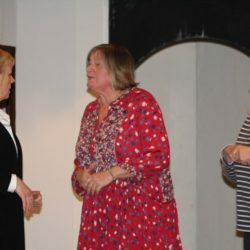 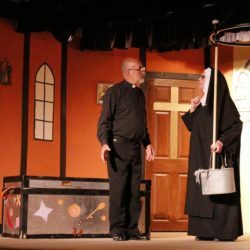 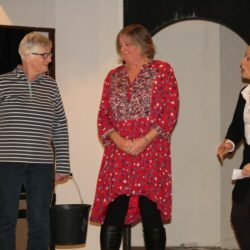 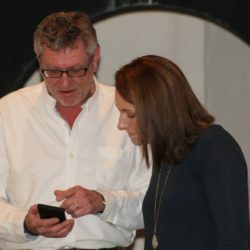 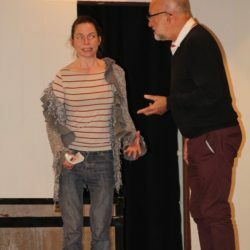 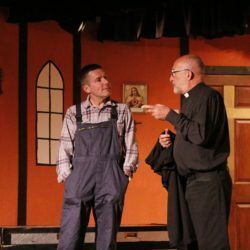 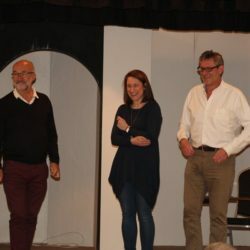 Accusations, mistaken identities, and romances run wild in this traditional, laugh-out-loud, twist in the tale farce. 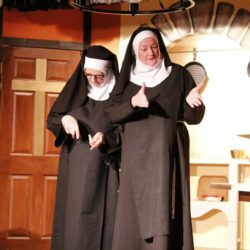 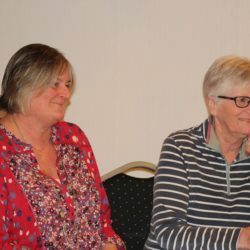 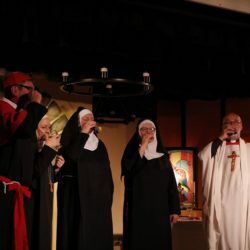 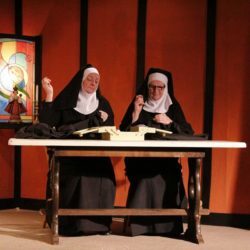 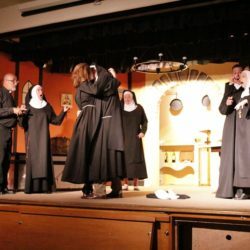 Unbeknown to Mother Superior, two nuns at the Sisters of Perpetual Sewing have been secretly making wine to keep the convent’s doors open, but Paul and Sally, reporters and former fiancees, are hot on their trail. 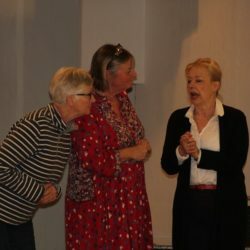 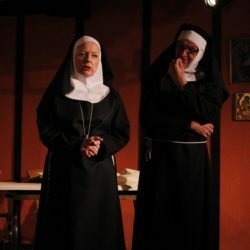 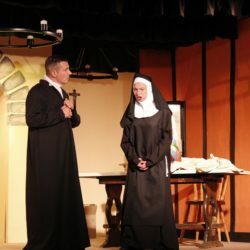 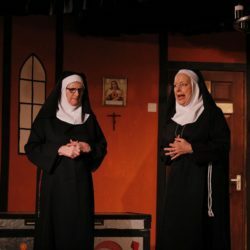 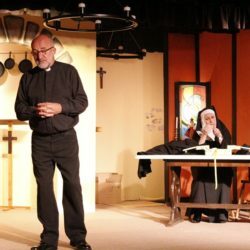 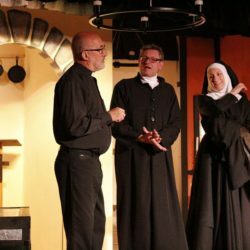 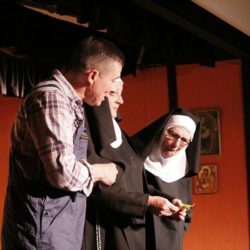 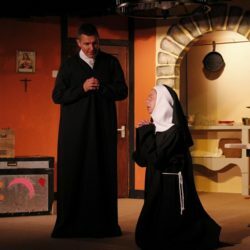 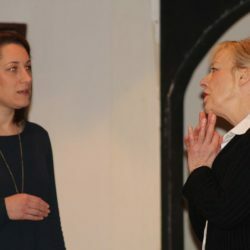 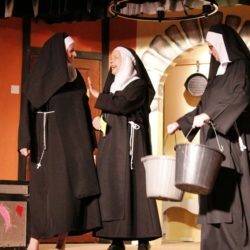 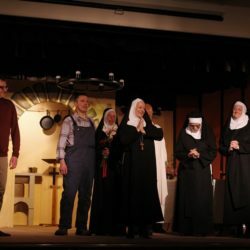 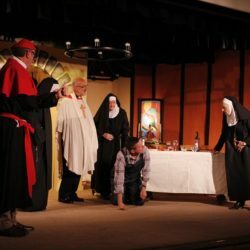 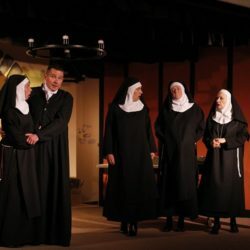 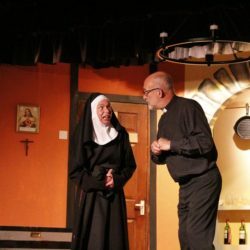 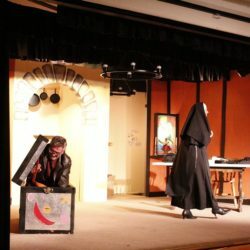 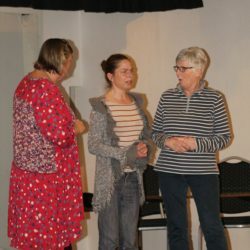 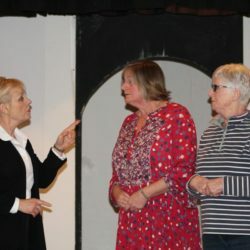 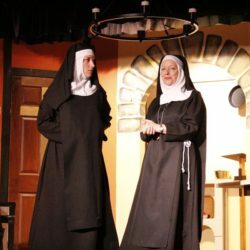 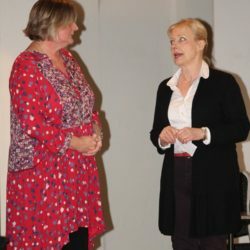 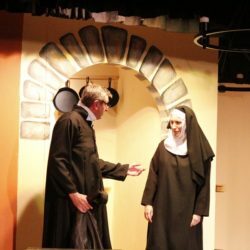 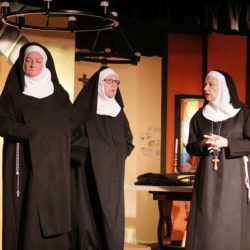 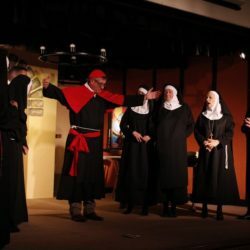 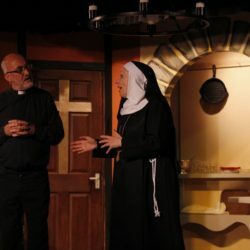 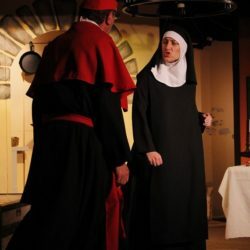 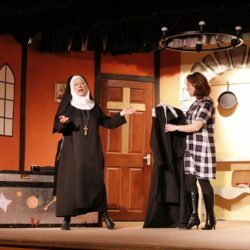 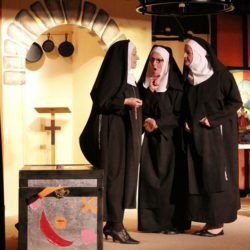 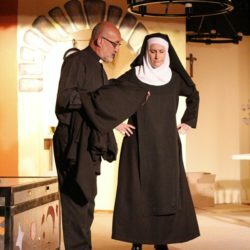 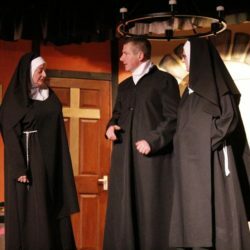 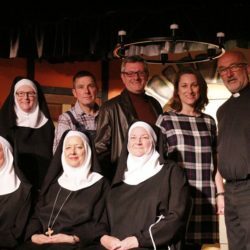 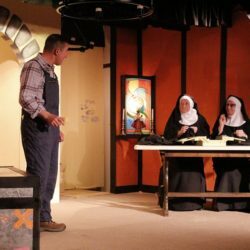 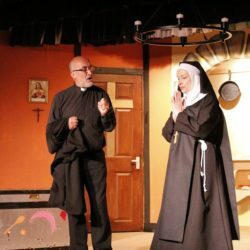 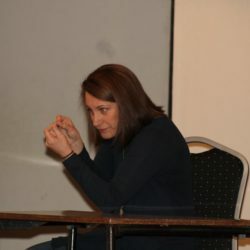 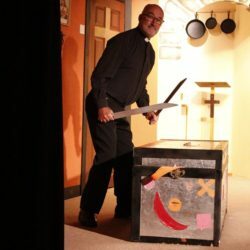 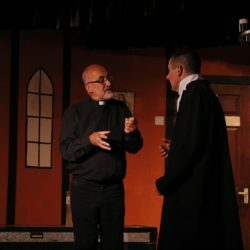 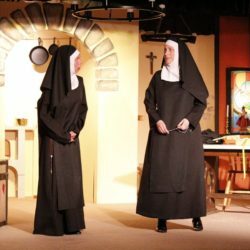 They go undercover in a series of barely believable guises and their presence becomes more ridiculous when combined with a new nun, a failed amateur magician turned Priest and teetotal Mother Superior all of which spurs paranoia throughout the convent that spies have been sent from Rome to shut them down. 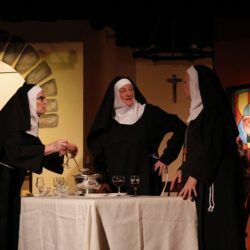 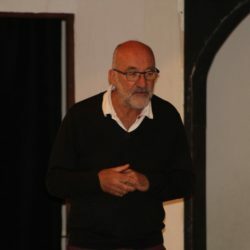 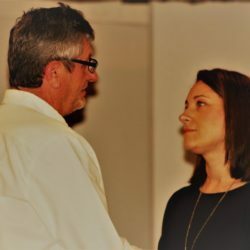 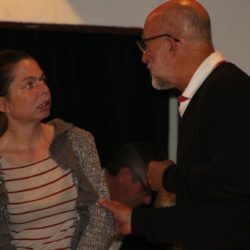 Wine and secrets are inevitably spilled as everyone tries to preserve the convent and reconnect with lost loves.